We previously validated simplified electroencephalogram (EEG) tracings obtained by a bispectral index (BIS) device against standard EEG. This retrospective study now investigated whether BIS EEG tracings can predict neurological outcome after cardiac arrest (CA). Bilateral BIS monitoring (BIS VISTA™, Aspect Medical Systems, Inc. Norwood, USA) was started following intensive care unit admission. Six, 12, 18, 24, 36 and 48 h after targeted temperature management (TTM) at 33 °C was started, BIS EEG tracings were extracted and reviewed by two neurophysiologists for the presence of slow diffuse rhythm, burst suppression, cerebral inactivity and epileptic activity (defined as continuous, monomorphic, > 2 Hz generalized sharp activity or continuous, monomorphic, < 2 Hz generalized blunt activity). At 180 days post-CA, neurological outcome was determined using cerebral performance category (CPC) classification (CPC1-2: good and CPC3-5: poor neurological outcome). Sixty-three out-of-hospital cardiac arrest patients were enrolled for data analysis of whom 32 had a good and 31 a poor neurological outcome. Epileptic activity within 6–12 h predicted CPC3-5 with a positive predictive value (PPV) of 100%. Epileptic activity within time frames 18–24 and 36–48 h showed a PPV for CPC3-5 of 90 and 93%, respectively. Cerebral inactivity within 6–12 h predicted CPC3-5 with a PPV of 57%. In contrast, cerebral inactivity between 36 and 48 h predicted CPC3-5 with a PPV of 100%. The pattern with the worst predictive power at any time point was burst suppression with PPV of 44, 57 and 40% at 6–12 h, at 18–24 h and at 36–48 h, respectively. Slow diffuse rhythms at 6–12 h, at 18–24 h and at 36–48 h predicted CPC1-2 with PPV of 74, 76 and 80%, respectively. Based on simplified BIS EEG, the presence of epileptic activity at any time and cerebral inactivity after the end of TTM may assist poor outcome prognostication in successfully resuscitated CA patients. A slow diffuse rhythm at any time after CA was indicative for a good neurological outcome. 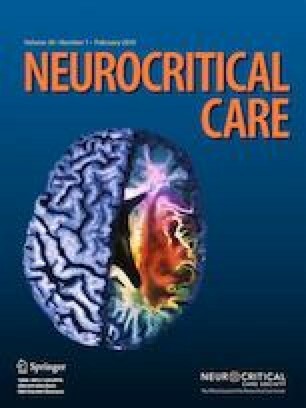 The authors wish to thank the nursing and medical staff of the emergency department, the catheterization laboratory, the CCU and the department of neurology for their cooperation in this study. This study was part of the Limburg Clinical Research Program supported by the foundation Limburg Sterk Merk, Hasselt University, Ziekenhuis Oost-Limburg and Jessa Hospital. WE was responsible for the study execution, data management, data analysis, data interpretation, and manuscript writing. CG was responsible for the study design, study execution, oversight of data management, data interpretation and critically revised the manuscript. JH and CD provided assistance with data collection and analysis. JDM and LE were responsible for (retrospective) analysis and interpretation of the simplified BIS EEG traces. MV, WB, DM and FJ were responsible for study design, interpretation of results and manuscript editing. JD and CDD were responsible for the conception, study design, study execution, data interpretation and manuscript editing. All authors read and approved the final manuscript. All procedures performed in studies involving human participants were in accordance with the ethical standards of the institutional and/or national research committee and with the 1964 Declaration of Helsinki and its later amendments or comparable ethical standards. Although this was a retrospective analysis on prospectively gathered data, informed consent was obtained from all individual participants included in the study.